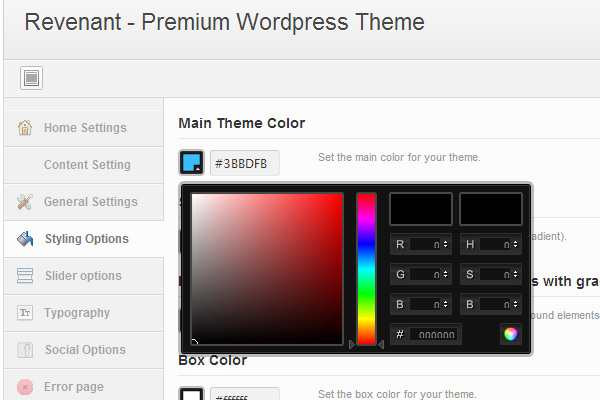 Revenant is a highly premium WordPress theme. 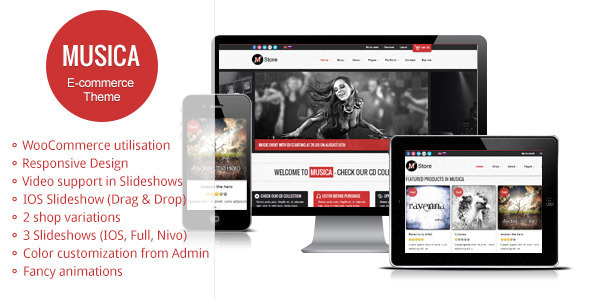 It is flexible website clean and crisp design. 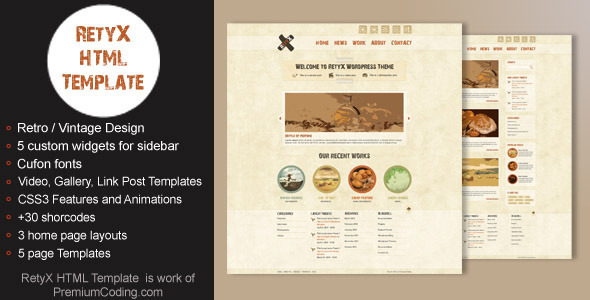 The Revenant has premium Page Builder, Revolution Slider, best selling Premium WordPress , Plugin and much more. This theme’s price is $45. 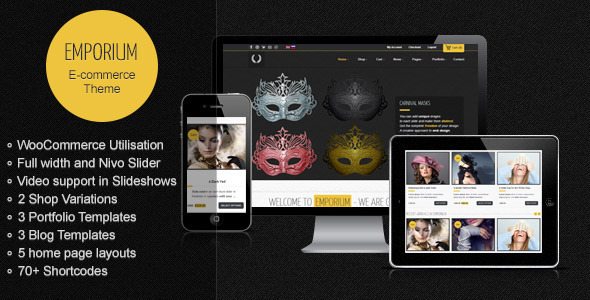 Revenant is the most highly premium and most advanced WordPress Theme we have ever created. It is very flexible, with a clean & crisp design and is suitable for any kind of business. It features a premium Page Builder which will make your life a lot easier when creating new Pages for your Site. 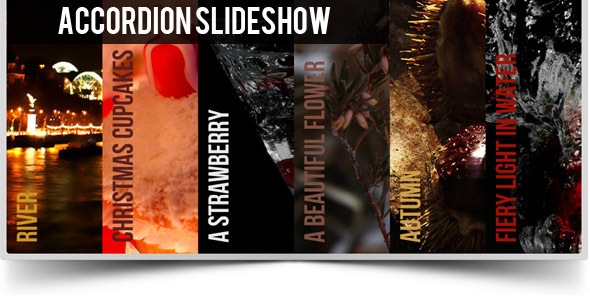 Theme also utilizes a unique and premium drag & drop IOS Slideshow which can be seen on the live preview (Home with IOS Slideshow). It will give your store a fresh and unique look. PSD files are available on my Blog free of charge. I will add more of them in the upcoming days. First update will include the option to turn off the AJAX loading if you prefer a more convenient version of Projects and Posts. Revenant is using an advanced AJAX loading of the Projects and Posts on the front page. If you click on one of the Projects it will open live on the Front Page. From there you can choose to either close it or read it in full details (user will then be taken to the single static page of the recent Project or Post). With this functionality a user can easily check all the Projects and recent Posts without leaving the Home Page. Aqua Page Builder is a powerful WordPress plugin that allows you to create an unlimited number of template variations for use in your WordPress themes. 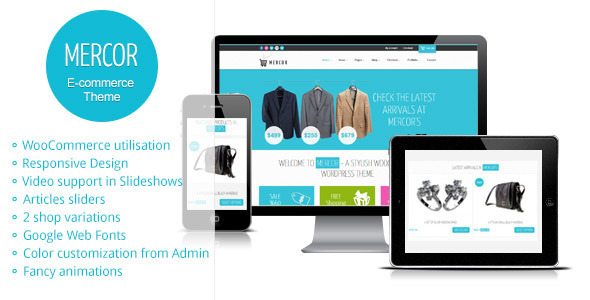 It follows the same user interface used by the Menus & Widgets admin pages – making you feel right at home with the UI. 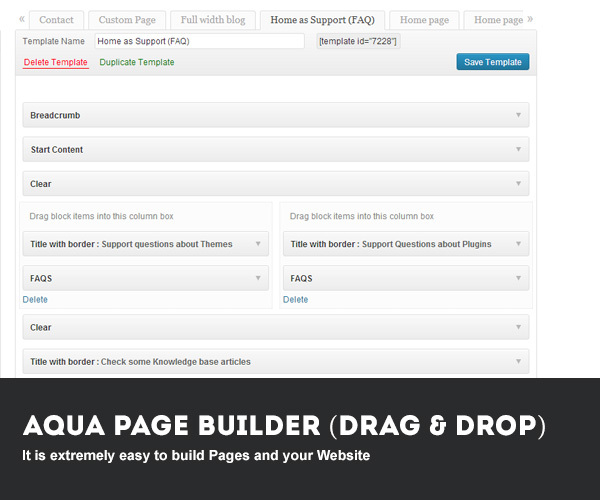 Similar to the Widgets &amps Menus, Aqua Page Builder features the drag and drop interaction to build its templates. Since its official release over 3 months ago, Aqua Page Builder plugin has received over 10000 downloads across the globe. If you don’t know what Aqua Page Builder (henceforth AQPB) is, then I’d recommend you to watch this short video which demonstrates some of its awesome features. 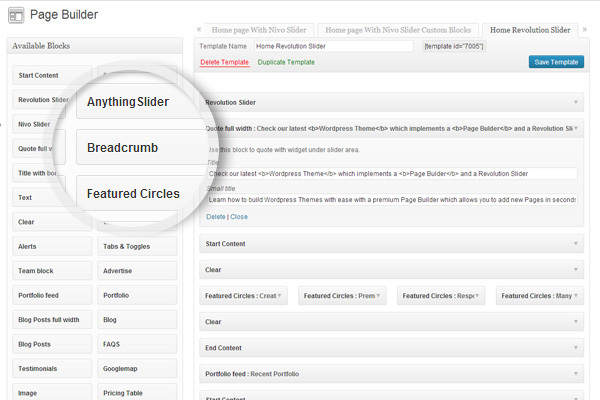 Below is the screenshot that best demonstrates how easy it is to create new Templates with the Aqua Page Builder. Revenant has a convenient Administration panel which provides tons of options to manage and modify any aspect of the theme – it is well suited for both beginners with no coding knowledge and developers. Four different blog pages will give you the opportunity to choose the style that you prefer. 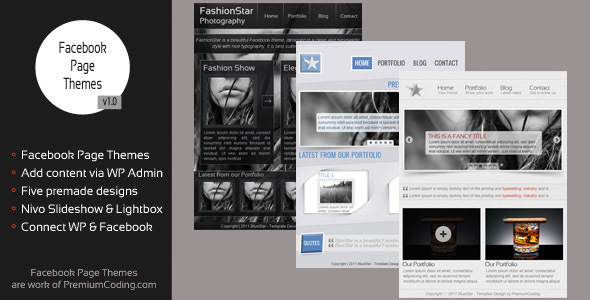 You can choose from a standard blog, a minimalistic blog and a blog designed to look like portfolio. Documentation is ofcourse included in the files for download but you can also read it in the post on our blog where you will always find the latest documentation for Revenant.